A very unique variety of okra. 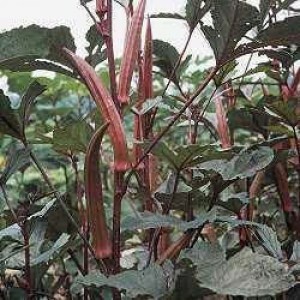 Attractive 4 foot plants with green leaves and burgundy stems, branches, and leaf ribs. Tender 5-7" deep burgundy pods turn green when cooked. All-American Winner.